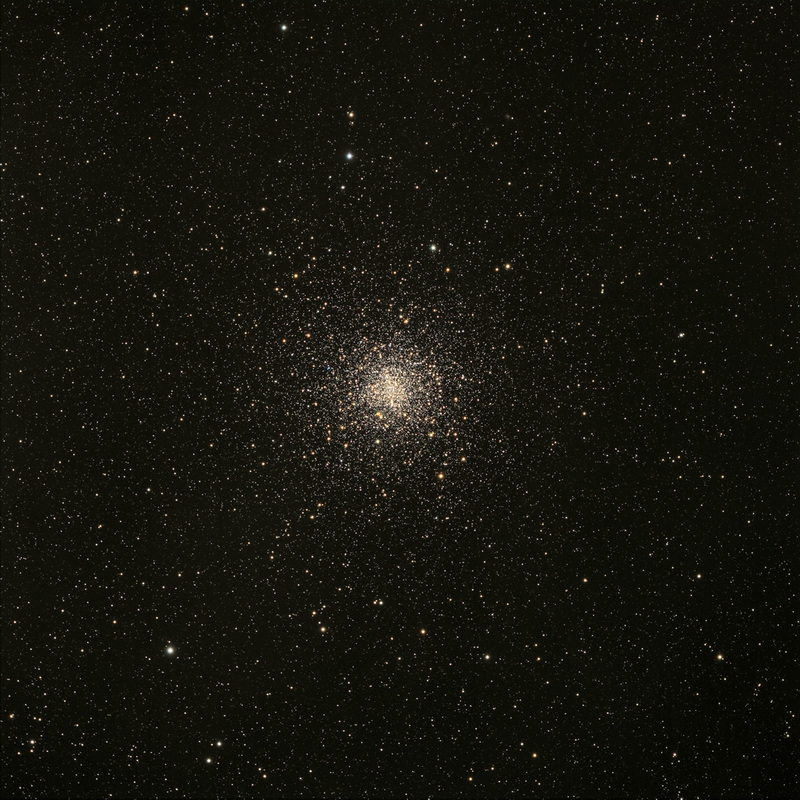 M4, one of the nearest globular clusters to us, lies about 7000 light-years from Earth. Spanning 75 light-years across, it a loosely concentrated globular estimated at be about 12.2 billion years old. Interstellar dust in the direction of M4 accounts for its color extinction and orange-like appearance. M4 is a fine visual object in a moderately-sized telescope and can easily be found by star hopping a bit over 1 arc-degree W of the bright red supergiant star Antares.